Android x86 is one of the most ambitious projects in existence that aims to bring Android operating system to devices powered by AMD and Intel x86 processors. The project was initiated by Open Source Development Network (OSDN) way back in 2009; however, it is still active to this date. In fact, the developers have just released a stable port of Android 7.1 called Android x86 R1, and it brings the best of Android Nougat to your PC. In case you are wondering, there have been two previous release candidates for Android x86 7.1 so far. The first one was released in June last year, while the other was released a couple of months later in October. 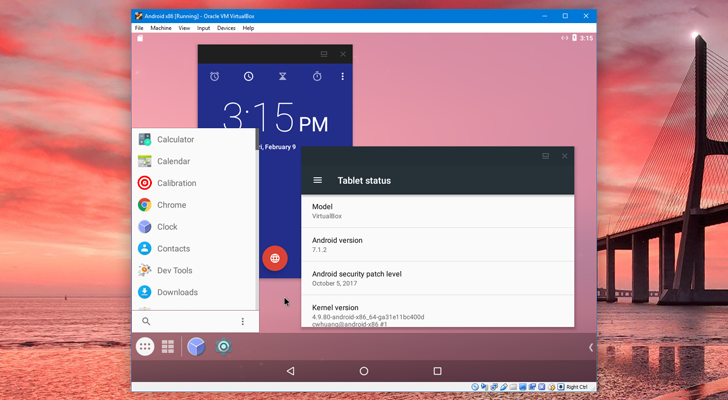 With the new version (Android x86 R1), developers believe that this particular candidate is stable enough to be used by most people on their computers. Talking about the port, there are four versions available to download which includes both 32-bit and 64-bit version of ISO and RPM. Hence, this can be installed as a virtual machine or as a full install on an x86 PC. If you’re looking to install it on a Windows-based system, you’ll need a Virtual Machine software like VirtualBox to run the OS. As reported by the folks over at AndroidPolice, the port appears to be working pretty well. If you are well-versed with the installation procedure, you can download Android x86 for 32-bit and 64-bit PCs in ISO or rpm from the source link below.